The first time you play Laser Force at Sidetracked it’s fair to say that you have little idea what to expect. The darkness, lights and noise are what make the game exciting, but it can also be a little overwhelming for first-time players. Although each time you play you’ll learn a little more about the game and how to play to the best of your abilities, here are our strategies to help you dominate your first few games of Laser Force. In the Laser Force arena the atmosphere is set with flashing lights, smoke effects, music and sound. Your best bet to blend in with this environment is black or dark clothing. Light clothing and bright elements will show up under the UV lights and make you a far easier target to spot. You’re going to be moving a lot in the Laser Force arena. Avoid sandals or thongs and stick with sneakers or canvas shoes. Again, try to choose something dark so your feet don’t give you away. 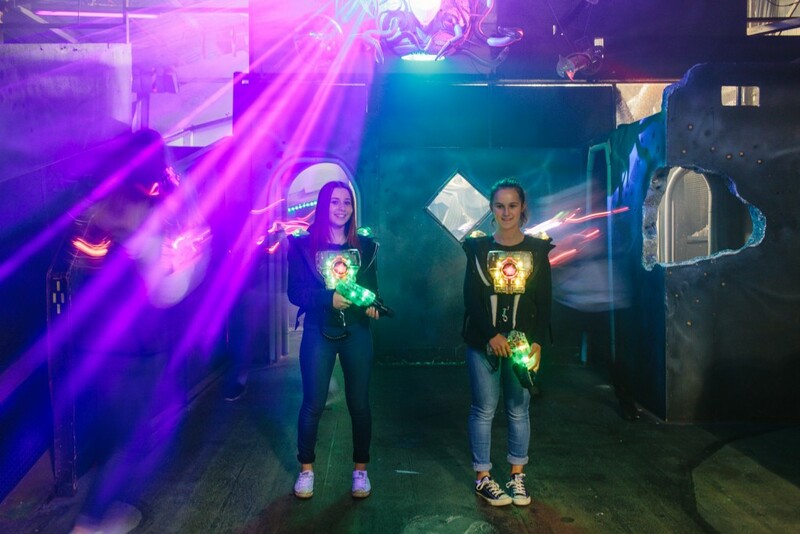 Your first time in the Laser Force arena, try to spend some time figuring out the layout – yes it’s hard when heaps of people are shooting at you. But the faster you can figure out the floor plan, the easier it’ll be to find good vantage spots to target your competitors. The Laser Force arena at Sidetracked is multi-level which means you may have people shooting at you from up above. Rather than always moving in a forward direction (ie like you’d normally walk), move a bit like a crab – sort of in a sideways motion and zig-zag as well. This’ll make you a harder target to hit. Oh and don’t forget to keep moving. Staying still makes it far easier for more experienced players to tag you. Look being a good aim is definitely going to turn you into a top scorer in Laser Force. But the next best option is just to fire, indiscriminately. If you spot someone on the other team, don’t wait to aim before firing off your shot. Just start firing. You’re more likely to get a hit in before they can hit you back. 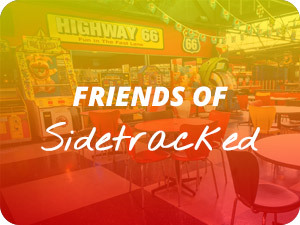 At Sidetracked we offer a variety of Laser Force missions at our general sessions and at private and Boot Camp nights. 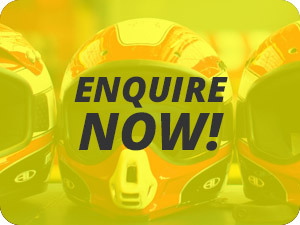 If you’re really looking to dominate the field, find out what game you’ll be playing before you get here and then look up the rules online (or email us for details). You’ll be able to find out exactly what you need to do to get a high score. Finally, if you’re playing a team game then your best bet is to work together. You could pair up to move together back-to-back (in a sideways crab movement) to protect each other from attacks from behind while targeting your enemies. 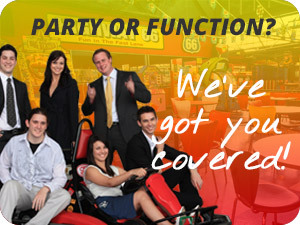 Or some of your team could provide cover as you move into a strategically better position. 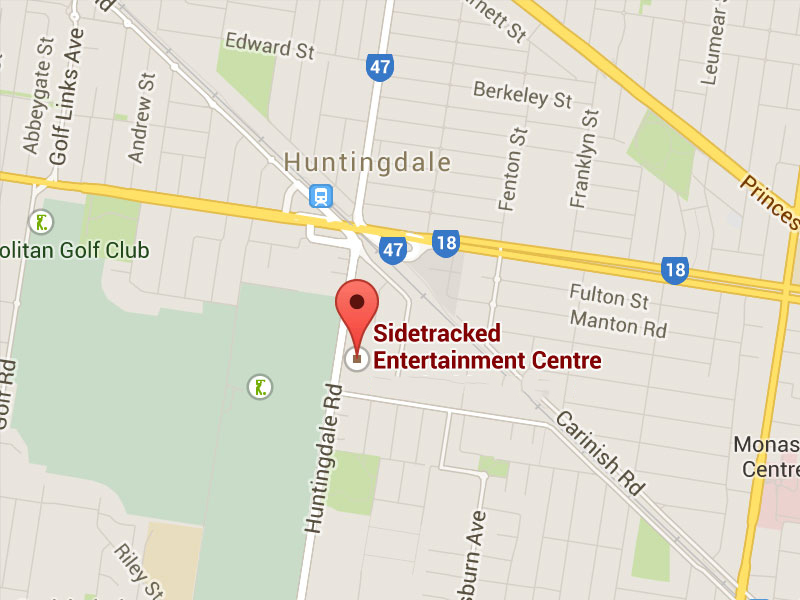 However you play, remember Laser Force at Sidetracked is all about having fun. So whether you come in first or further down the ladder, just focus on enjoying the game.